I've mocked up the container box modifications, and the interior partitions and doors, stairs and rails. 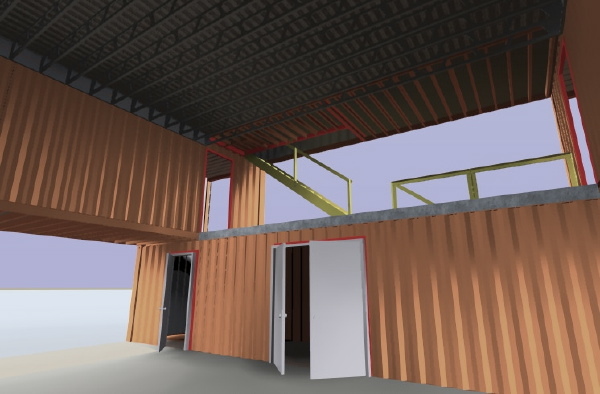 Next we have to layout the infill panels that enclose the spaces between the boxes, and also separate the high bay of the workshop from the office on the second level. The workshop.